Located in the delightfully sunny region of the Costa del Sol in Spain the seaside city of Marbella offers a vibrant and cosmopolitan atmosphere, sandy beaches and Mediterranean culture. Whether it is shopping, relaxation to discovering the region’s fascinating history there is a wealth of things to do and places to visit in Marbella. Below are our top five recommendations for you visit on your holiday to Marbella. Marbella Old Town is a delight to visit on your holiday. The characteristic town offers a wonderful contrast to the modern seaside resorts. Stroll down the cobbled streets to the Plaza de Los Naranjos, a charming square named after the orange trees that surround it. 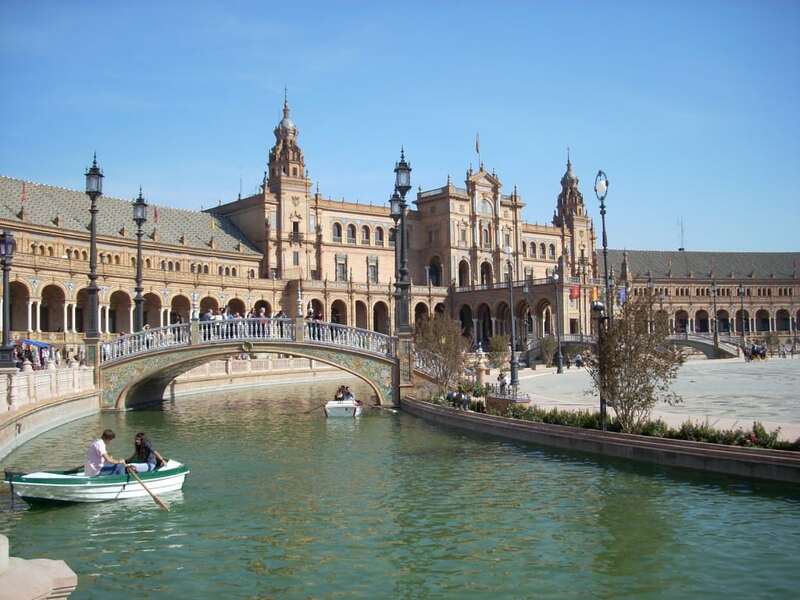 There are local cafes to enjoy and traditional Spanish restaurants where you can taste the local cuisine. This hirstorical district boasts noble sixteenth century architecture and the former hospital, Hospital Bazán is today the Museum of Spanish Engraving. As a respite from the beaches and busier tourist areas Marbella’s parks and gardens are wonderful places for a leisurely afternoon with pathways and secluded seating areas. 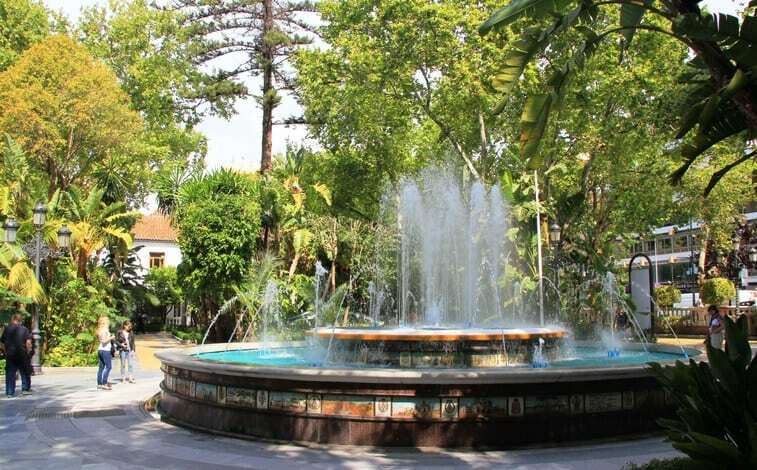 Parque de la Alameda located in the centre of Marbella boasts exotic trees and flowers and plenty of places to sit and take in the surroundings. Just a few minutes walk from the Old Town you can discover some of Marbella’s hidden gems. On a slightly larger scale there is the Parque Arroyo de la Represa which boasts a lake, two football pitches, athletics track and plenty of tree covered areas to amble around. This park is also home to the fascinating Museo del Bonsai which is one of Europe’s best Bonsai collections. A holiday to Marbella would not be complete without a trip to the beach. With extensive sandy beaches on the shores of the Mediterranean Sea the beaches are perfect for those looking to soak up the sun and take a dip. Playa El Alicate is an ever popular choice amongst both holiday-makers and locals offering visitors plenty of amenities with bars, restaurants, beach club, showers and toilets. Just fifteen minutes from the centre of Marbella is Playa Hermosa which is great for families with clear shallow waters and again, plenty of beachside services. 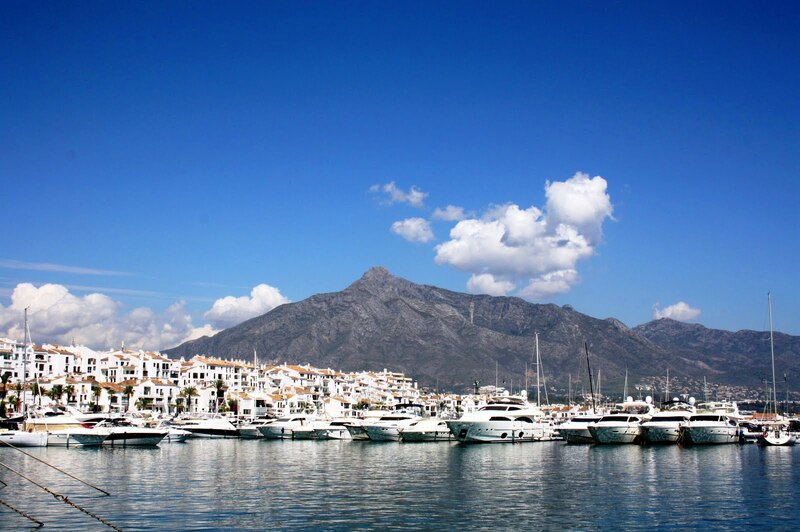 The luxury marina is now one of Marbella’s and perhaps the Costa del Sol’s main talking points. A haven for the rich and famous you’ll be sure to see large yachts moored in the harbour as well as Rolls Royces and Ferraris parked up. There is a shopping complex with labels such as Louis Vuitton, Jimmy Cho and Hermes to name but a few, alongside more high-street brands. During the day you can enjoy a cup of coffee at one of the numerous cafes then at night head to one of the stylish bars or restaurants for a post-dinner cocktail or two. With a lively nightlife in the resort you can sure to make the evening last. One of Marbella’s greatest assets for those wanting to explore on holiday is its fantastic location to cities such as Seville, Granada or even catch a ferry to Gibraltar or Tangier in Morocco. Explore the romantic city of Seville, visit the incredible UNESCO World Heritage Site of Alhambra in Granada, head to Gibraltar for a taste of ‘home’ or discover the delights of Morocco in Tangier, Tetouan or Ceuta. Ideal for a day trip and with a range of excursions available these will make for an excellent addition to your holiday to the Costa del Sol. 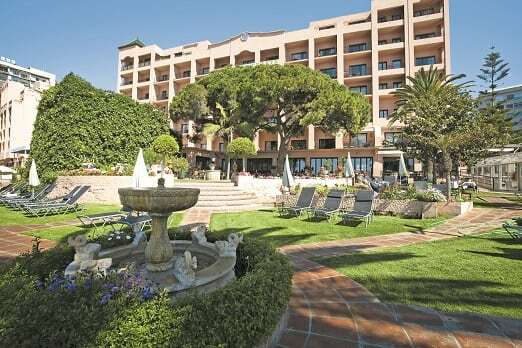 Located on the beach front in a central location in Marbella close to the Old Town, the four-star Hotel Fuerte Marbella is perfect for those looking to enjoy the surrounding area and all it has to offer. The hotel’s facilities include an outdoor pool, beauty centre, a range of restaurants including one located at the Beach Club and the Fuerte Experience programme with cooking lessons, cocktail classes and botanical and ecological tours. Have you been to Marbella? Where are your top places to visit? Tweet us @ClassicHols.